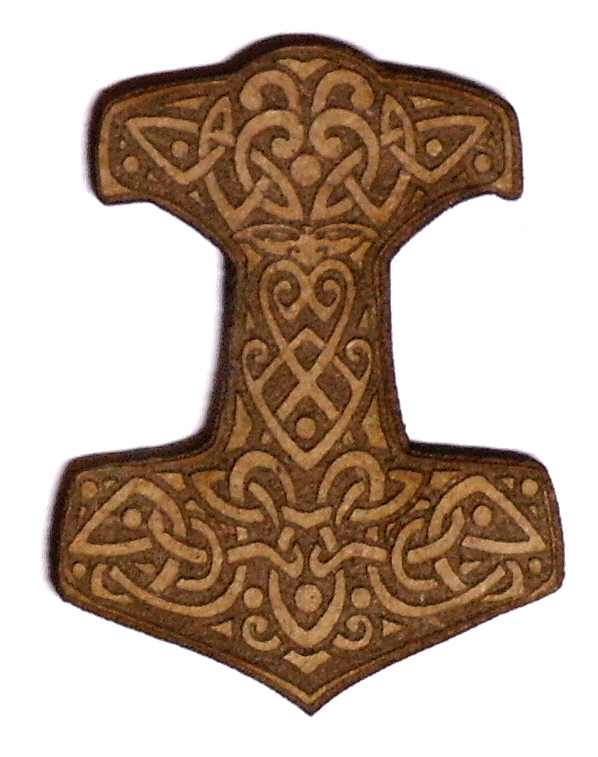 Laser cut in MDF and beautifully engraved to look like Viking Swords and Hammers these rulers are perfect for the SAGA game system and other wargames. Each Viking measuring ruler features unique artwork, created by our in-house artist of Thor’s Hammer, Mjölnir, beautifully designed & engraved with Odin peering through Viking knot work. 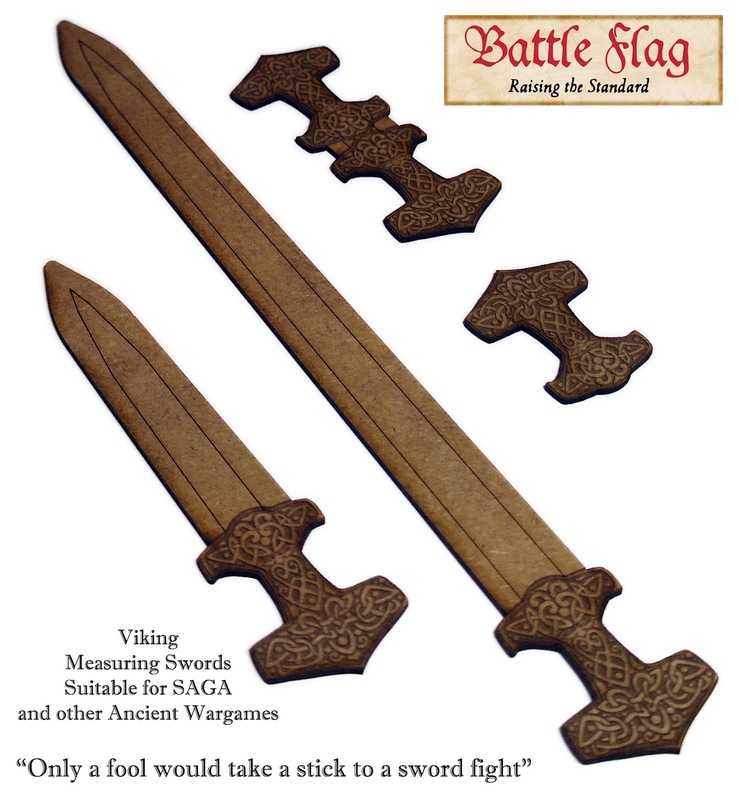 This Viking set of 4 rulers consists of a sword; 12” (30cms), a dagger; 6”(15cms), Double Hammer; 4” (10cms) and a Single Hammer; 2” (5cms) making them perfect for any Viking player of SAGA or similar skirmish wargame. 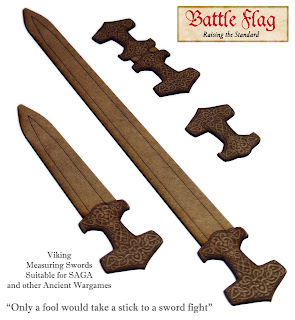 Priced at just £10.00 per set with free shipping in the UK (£1.95 worldwide) this superb set of measuring swords will surely bring Odin’s blessing upon your die rolls!